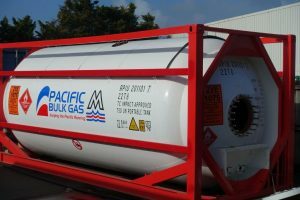 Pacific Bulk Fuel supply bunkers, ground and air fuels, LPG and lubricants across the Pacific. 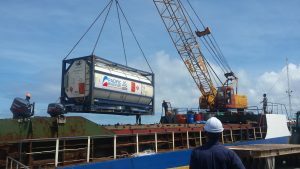 Utilizing drums, ISO tanktainers and vessel bulk tanks we can meet your needs. 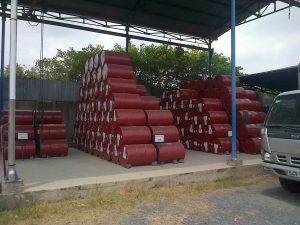 We are able to provide quantities that suit the regions needs, storage abilities, and stock demand. For smaller markets we can offer drummed product. For larger markets there's the option of bulk fuel, or ISO tanktainers to meet customers requirements. 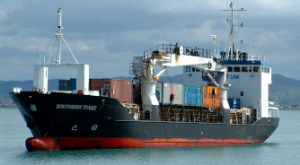 Taking advantage of our parent companies vessel and agency network we are able to service customers across the region quickly and efficiently. Purpose built ISO tanktainers that are specifically designed to suit our products, ports, and customer requirements. We also offer technical support, safety equipment, and the supply and fitting of auxiliary pumping systems.